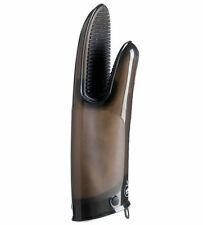 Features: Comfortable 5-finger flexi-grip construction. Fits both left and right hand. 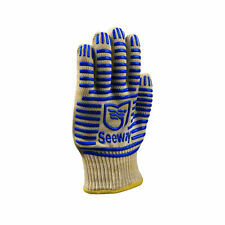 Woven from a special heat resistant fiber, this glove creates a barrier between you and the heat. Use it in place of a potholder or even to shield from the heat while tending a fire. These Half Silicone Oven Mitts A re High I nsulated. Good H elper I n C ooking and G rilling. · One Hanging loop. · Outer: Cotton twill with T extured Half Silicone. · Color:Orange. Waterproof/Non-slip/Heat Resistant. BUY 2 GET 1 FREE!! MUST ADD 3 TO CART!! 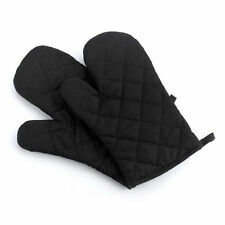 • Two gloves instead of one oven mitt which makes carrying hot dishes and plates much easier. NOTE: (Gloves do not protect against heat from hot liquids. ). Products Features:Heat-Resistant: This Silicone Gloves will protect your hands against hot surfaces, steam and liquids.Lightweight, flexible and non slip.This Silicone Gloves are Really Easy to Clean.Can be resistant to high temperature, increase the high temperature resistance and wear resistance.Lengthen design, wrist knitting lengthened, effectively prevent anti-hot, more secure.Double knit, excellent insulation and cooling function.Double-sided silicone, the use of high temperature environmental protection silicone, non-slip performance, nice, easy to clean, extend the working life.Material: Silicone CottonColor: Black RedLength: 35 cm,Width: 11.2-20cm; Heat resistant up to 662°FKindly Reminder: the glove is not waterproof and oil proof, and it i. It really is a must have in every kitchen! 1x Pair of Heat Resistance Gloves. Safety First ! A Pair in Every Kitchen ! Warm Reminder We will try our best to reduce the risk of the custom duties;. Slide onto pan handle. 2 X Silicone Hot Handle Holder. Easy clean and quick dry, hand wash or top rack Dishwasher safe. - A hole on the back to hang on. Designed with a relaxed fit, which will stay on securely and be easy to remove when required. This Pot holders are made 100% Terry cotton. The quilting allows for easy flexibility. 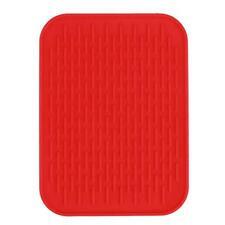 This hot pad heat resistan is Specially design for cooking, oven, baking. The pot holders are Heat resistant and allowing you to safely remove dishes from the oven and hot pots from the stove. Trending at $4.40eBay determines this price through a machine learned model of the product's sale prices within the last 90 days. Heat Resistant Silicone Glove Oven Pot Holder Baking BBQ Cooking Mitt US Seller! BOILETVOO Silicone Gloves are made of food-grade silicone and thickest material, great gloves for cooking at high temperature and handling frozen food. The cooking gloves safeguard your hands and fingers from injuries by extremely hot or cold food, making your cooking more enjoyable and easier. Food-grade Silicone The bbq gloves are made of premium silicone, BPA-free, safe to use when cooking Heat-Resistant Gloves The bbq gloves can withstand temperature up to 430° fahrenheit Excellent Grip and Flexibility The silicone gloves of five-finger design offers great control and flexibility, no problems to handle kitchen utensils, big or small Anti-slip Design The textured surface and inner dot design provides excellent and non-slip grip, no worry about falling off food or gloves Easy to Was. Silicone Heat Resistant Gloves features No one gloves can do this!Designed for quick use. Pure food grade silicone grip gloves. Note:The color may vary. Size:length 27.5cm x width 17.5cm. 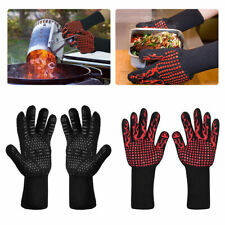 RAPICCA BBQ Gloves -Smoker, Grill, Cooking Barbecue Gloves, for Handling Heat Food Right on Your Fryer, Grill or Oven. The black XL size set of gloves fits most people and is easy to put on and take off. Heat Resistant BBQ Gloves- Nice, Heavy Weight, Premium Gloves that will protect you from grilling, baking, fireplaces, etc- these are a good glove and you'll like them. The grill gloves have knit outside and cotton lining inside. Five-fingered flexi-grip. For left or right hand. 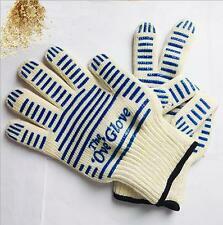 The Ove Glove is perfect for the kitchen, barbeque and handling hot surfaces around the house. Interior layer of soft doubleknit cotton. Machine washable. 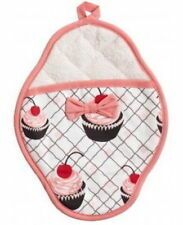 Oven mitts and pot holders are two essential items that everyone needs in their kitchen. They are made with heat-resistant materials to help you make handling hot food safe, especially if your food is coming directly out of the oven or microwave. In addition to being an essential kitchen item, many view them as a decorative item as well. What are the differences between pot holders and oven mitts? Shape: Oven mitts are shaped like a mitt that fits over the hand, making them useful for pulling hot dishes out of the oven. 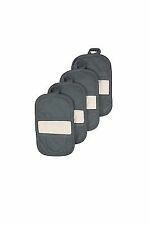 Pot holders are flat in shape and are designed to be placed on your palm and fingers to wrap around pots. Although they are usually square, they can be circular or any other shape. Size: Oven mitts are large enough to fit over the hand while pot holders just cover the palm and grip of the hand. Materials: Pot holders are often always made of cotton while oven mitts can be made from cotton and other heat-resistant materials. What are oven mitts and pot holders made of? Pot holders: These are usually made from strong, quilted cotton, or cotton blends with other fabrics. Other pot holders are made with strips of quality cotton that are then woven together, giving the pot holder a handmade appearance. Oven mitts: Fabric oven mitts are made with heat insulation surrounded by cotton, which is usually colorful or decorated. Other gloves are made with silicone, Kevlar, or Nomex, which are more resistant to stains. These materials also keep the cotton clean and free from discoloration caused by heat. What features can oven mitts and pot holders come with? 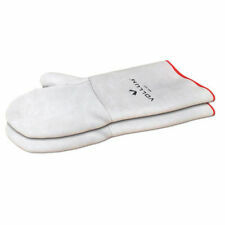 Double oven gloves: These are oven mitts that go up to the elbows and are useful for carry large, hot pans. These gloves come as a set and are designed to be worn on both hands. 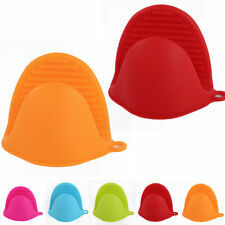 Silicone: Some mitts and holders are made primarily with cotton but are tipped with silicone for more protection. The silicone comes into contact with the hot pan or pot, keeping the fabric materials from becoming scorched or burned. Style: Some mitts and holders have different styles to fit your kitchen decor. Some are a single color to add an accent to the kitchen while others have quilted patterns to match your other decor.